The famously anonymous artist Banksy has created a dystopian theme park in Weston Super Mare with a mock TV commercial that shows kids' being marketed 'pocket money loans'. 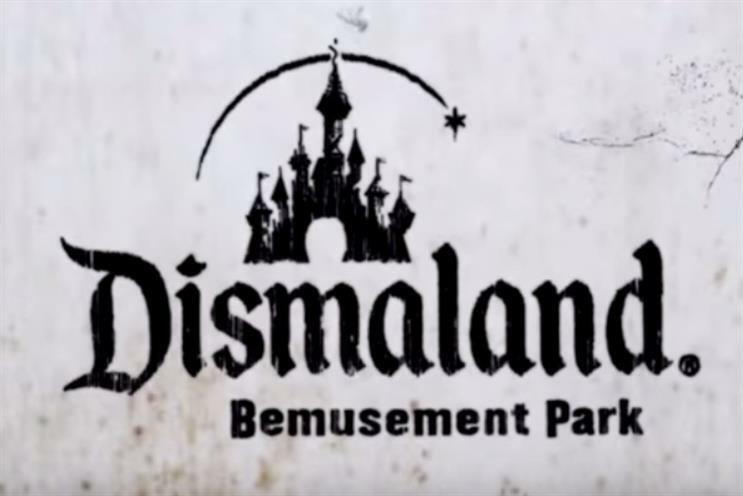 Dismaland, which went on sale to much fanfare on Tuesday and sold out within hours, shows a series of dark art installations, re-imagining a theme park as a dystopia. Running until 27 September, the installation is now demanding guests bring photo ID after touts cashed in on the action, selling tickets for as much as £600. Features include animal-tested mice, car crashes, riots in a model village, a branded baby in a foetal position, the grim reaper and Cinderella tipped out of her carriage in a car accident being photographed by paparazzi.